Quickspin has had a busy few weeks recently with the announcement of two huge content deals that the company has signed. They signed an exclusive content deal with PokerStars Casino and this week they sealed a deal to provide content for the Norwegian state owned casino operator, Norsk Tipping. The deal signed with PokerStars was already a great win for Quickspin, but the deal with Norsk Tipping is an amazing feat for the company. The deal will kick off in January 2018, instantly giving the players of Norsk Tipping access to fantastic Quickspin titles like Big Bad Wolf, Crystal Queen and more. 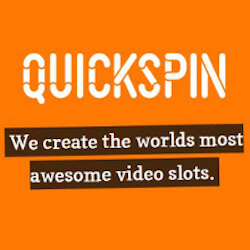 The initial batch of pokies will all be existing Quickspin titles, but the deal also calls for original content. There have been no details on what new games are in development yet, but it should be software of the highest quality as the Norwegian market is quite strict and competitive. Norsk Tipping would not have signed a deal with Quickspin if they did not have high expectations of them. 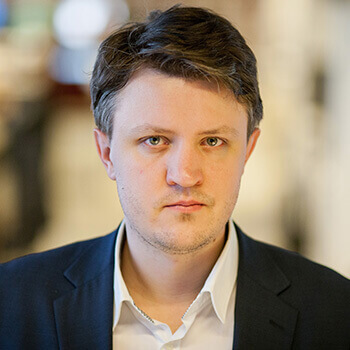 CEO for Quickspin, Daniel Lindberg, said in a statement that the company is very proud to be delivering their premium pokies to the Norwegian region. This will be new territory for them but their software has already been proven revenue drivers at many online casinos, so they have great faith in their ability to deliver great quality to the region. Quickspin’s deal with PokerStars Casino will be another new venture for the company, who will be expanding their product portfolio to meet the needs of their content deal with the site. They will be delivering existing as well as original pokie content for the suite, giving the PokerStar players some exciting new gaming opportunities on Quickspin’s world class pokies. Lindberg reiterated how happy the company is to be expanding into unknown markets, and he has cited the already successful performance of Quickspin’s Wild Chase at PokerStars as a guarantee of the partnership’s future success. Quickspin is part of the Playtech Group, meaning they have a few footholds and advantages they can leverage in the market; but that is by no means a sure-fire way to success. The company has worked hard this year to sign deals with companies that can further help them grow and expand. Even though these deals aren’t the only ones for the company this year, they certainly will be having a lasting impact on the company’s future on the industry.